I've been mulling over the range of comments that were entered in last weeks online debate as posted in DAOs editorial. In response I have to say, first off, that we have stop thinking of disability as a physical attribute. Disability is a state of inequality brought about as a result of oppression within society. This is often to do with physical barriers and lack of physical access, but it is also because of attitudinal barriers. What I would like to emphasise to those who would trivialise mental health issues and deny them as being a disability issue, is that what they have to take on board is that we have been living in a war of attrition with psychiatry ever since chlorpromazine was announced as the wonder drug in 1955. At that point in time the so-called pharmacological revolution introduced the concept of mental illness resulting from a chemical imbalance in the brain, with glib ideas about how the brain works, used as if 'chemical imbalance' were a known pathology. 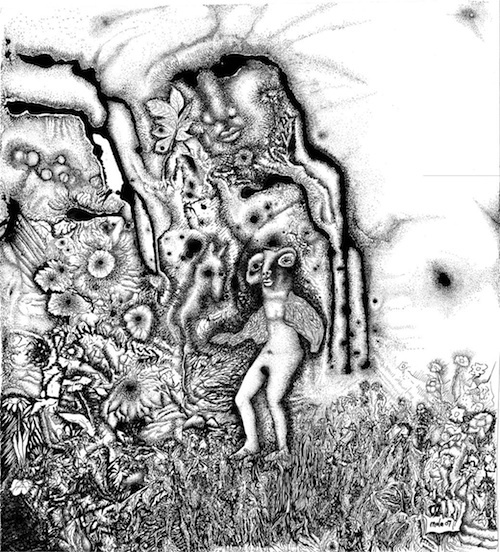 Over the past 57 years anti-psychotic medication has caused unwritten, untold damage as the power relationships maintained by the medical model of psychiatry remain underpinned by the large pharmaceutical companies, who continue to dole out the idea that their drugs can and do 'cure'. The arguments the psychiatric profession proffer correlate with the kind of arguments enforced by witch-finders in the 300 years or so of the state persecution of witches. Once submitted to the ducking stool, it was proof of your guilt and allegiance to evil if you rose to the top of the water; and of your innocence if you drowned. Similarly, under the rules of psychiatric intervention if you admit to being ill and take your medication, then you are getting 'better'. If you refuse and deny the professionals' reflection on how you 'present', then you are ill and therefore need further medication. No-matter that psychiatric medication itself has been proven to cause chemical imbalance and to shrink the actual size of the brain. The terrible thing is that like many, addictive illicit drugs which alter the brains chemistry, the impact of neuroleptics is devastating if, once introduced, they are not taken away over time and with careful consideration. What we are living in is a state of institutional abuse at a national level in which millions of individuals in the west are being systematically poisoned in the belief that this is somehow for the greater good. I went to the Open Paradigm conference last Friday. US Journalist Robert Whitaker (author of Mad in America) talked through psychiatry's own statistics on how dangerous and ineffective psychiatric medication is. He discussed the statistics for how neuroleptic drugs intervene with brain chemistry; how preventing the brains production of dopamine is like driving a car with the brakes on. He discussed the rates of low age expectancy for individuals on neuroleptics long-term, the long-term brain damage through brain shrinkage, tardive dyskinesia and akithisa, which are a physical manifestation of a brain trying to produce dopamine naturally, when the transmitters are being blocked by the 'medication'. He also discussed the financial costs of disabling people through making them incapable of functioning in any capacity for work or study. He discussed the statistics produced by NIMH and all the research into neuroleptic drugs from the introduction of chlorpromazine in 1955 to statistics around the current 'wonder drug' clozapine. He was passionate and took on board how very upsetting the information he has gleaned would be for the 120 or so people in the room, many of us whom were survivors. In a constructive response psychotherapist Nick Putman talked about his experience of the Finnish Open Dialogue psychiatric model which was introduced as the method of treatment in the mid-1990s. West Lapland has gone from being the country with the highest incidence of 'schizophrenia' in Europe per capita to the country with the least incidence. Why? Because the Open Dialogue method advocates medication as the very last resort. It advocates looking at psychosis as a breakdown in communication between people, rather than a breakdown 'in' people. It advocates setting aside the traditional power relations between doctor and patient through a process of mirroring. The beauty of the Soteria and the Open Dialogue approaches are that they offer potential for a paradigm of care which takes the notion of the individual being in a state of 'division'; of having a divided self; and looks at unravelling how that person has entered into a state of division from other people. I don't know how we move forward to creating a fairer society, one which breaks down the barriers which disable us? But to say that "the mainstreaming of mental illness is a greater problem than the genuine problems that need support and assistance" is to ignore hundreds of years of persecution and to lay a foundation for an argument that will lead us straight back to the gas chamber. I tried with varying shades of success to mainstream, to throw the status of 'impaired' away, to forget, negate, the experience. It worked up to a point. Tick. I met the social model, standing firm, and took on the term disabled clock on the basis of my life story and the thinking that went with the model. I am very clear what the term means to me. 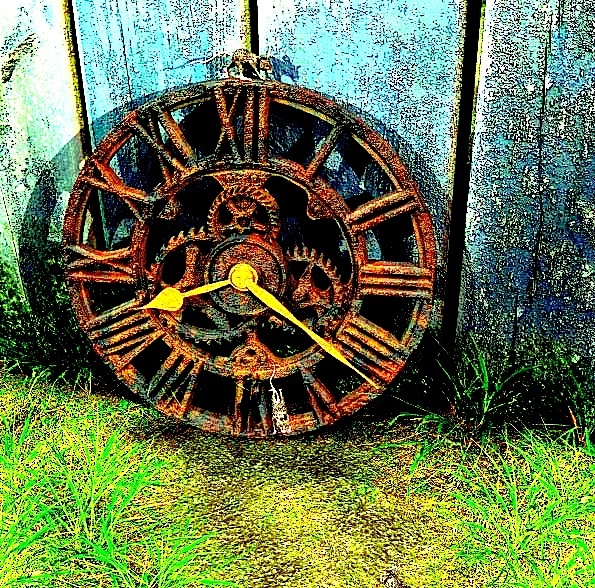 Tock. It doesn’t surprise me that other people don’t know it, and don’t understand it. They have been denied access to the model as much as I had no working class access to a golf club in my time of manufacture. I don’t regret never having teed off in the 19th hole but it bothers me somewhat that society refuses to listen to the model. Tick Tock Tick Tock. 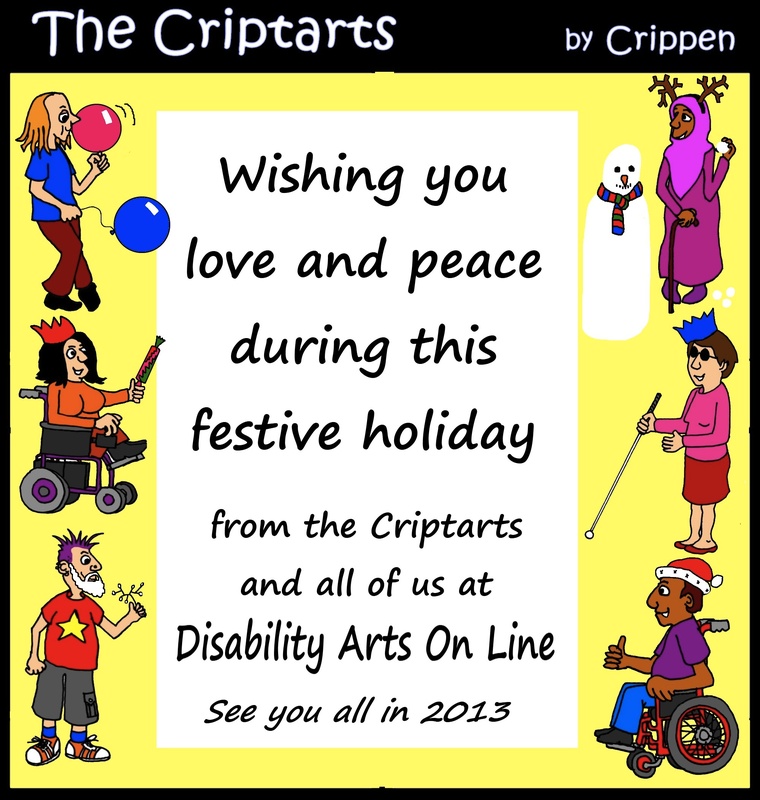 But, what of disability arts work…. seconds out…. Does it have to be thematic, a piece of activism. What of the doodle that I’m drawing on my hands right now? What is that? What’s the point of it? Isn’t it just a pen consuming time, is it a bit of fun, something that I can just wash off but art nonetheless and from me, in its moment of existence, Disabled Art? Tick tock. This old clock is a good strong clock. It has survived the test of time. I have quality as a clock. I’m well made. I’m stand up to time and yet also for time. These are my qualities. My raision detr’e. But what if I was less of a clock. A cheap Taiwanese import perhaps. Would it mean that I wasn't a clock. Tick Tock Ticking off. Does not the sound it make give its beating springs pleasure? Does it not somehow achieve the same thing as I when it produces the wondrous sound of tick tock. It certainly feels significant that I define. I self define. I define in accordance with the social model. But the trend that I’m asked to consider taking on is not to actively prove my status. To not say these are my impairments. This is where my springs have sprung. If I am slowing down in my advanced age, losing time, do I have to say why? I have always been proud to state my impairments, though perhaps the old one should now only be called a long lasting illness or some such schmuck. Tick tuck, tick tuck. Should you not have noticed one of my hands is smaller than the other. I guess the point there is if I tell the time and tell it correctly and in the fine tradition that I adhere to, does it matter that my spring has sprung. My time telling is still strong. I have qualities. But let me make sure you know this too. So does my cheap Taiwanese import friend. But only one of us ticks and tocks. I take pleasure in his company. My Taiwanese friend and I share space on a mantelpiece with many other clocks. It’s a fine array. We are part of a collection, which extends beyond the shelf and indeed out beyond the room that we sit in. We are in a very fine house. Its called ‘Broad Church’. We all have place here. We all produce. We do it at our own levels, in ways that give us pleasure. There is no shoo shoo-ing here. Just appreciative ticks and the occasionally louder tock. Believe it or not one day the man who funds the collection, not the one who maintains it, had the idea that we should separate the tickers from the tockers. Silly Sod. Tick Tock Tick Tock. He said he didn’t like the tick, only the tock. Unbelievable. I do look around at the clocks that I can see sometimes. Some like me, need support. Fortunately we are easily wound up. Low maintenance. Others have more sophisticated support needs. I’m really happy here. I have no desire to get off the shelf and see around ‘Broad Church’. But sometimes when taken down I feel the giddy thrill of being spun around and I can sometimes see into other rooms where other clocks live. Their situtations seem no better than mine. They seem to have no greater representation than I do. I guess that’s the problem with clock collections. We are all only clocks after all. Tick tock. We have no great need for access to the other rooms up on my shelf. The cultural mix is very good. Next to my Tawainese friend, there’s a Swiss, a Viennese. It is a very rich culture here. I think I can say from personal experience that I am an expert, but clocks have changed over time. Look around. Youngsters are going digital. None of the digital clocks would have called themselves digital 50 years ago before digital was invented. Our understanding was limited. This new understanding seems important to me. It enhances the culture. Does not diminish it. Does not make a Tick a tic or a tock a toc. And on this I wonder how I would fare as a clock in the opinion of other Timesters. I wonder what sun dials, calendars and diaries would think of the sound I make. They've all been around somewhat longer than myself. I have presented my sound to them. They don't seem that interested. They do not give a tock. It’s no wonder they never sought to find out what makes us tick. I think I have said already, memory fades, that I am a good clock. I have talked about quality; I know this. But, should I have also said that sometimes I feel like a strong clock, a proud clock, even an angry clock. Yes!!!! Sometimes when pushed you can really hear my tick tock. What do we want? Time. When do we want it? Now. I have however started to wonder now, whilst writing this piece, whether it is a good thing for me to stay on the mantelpiece or even within this house called ‘Broad Church’. That's what debate does I suppose. I'm thinking about who else I could be useful too. It’s all very fine, sitting here, hour after hour, but it’s starting to feel claustrophobic. Like I said, I've not been in the other rooms, never mind outside of the house. What would happen if I did? Would anyone recognise my face? Am I simply pigeon holing myself? Should I be able to get outside how would I be in the wider world? It’s a thought. And it took time to get there. Tick Tock. I also have to consider now, because of an over heard comment uttered by a passer by. What is a clock? Am I a clock because I am a clock? Will I end life as a clock because I started life this way too? Is it the purpose of a clock to be a clock? Surely there will be no end to time. So when people face my face and see time, is it only time and what happens when they are no longer looking at time? So, many issues to chew over time with. Oh well!! Tick Tock. Tick. Tock. Last week DAOs FaceBook group was the site of a raging debate about disability, art and identity. Between 19-27 November members of the group posted something in the region of 15,000 words in 122 posts. Responses were passionate. It was a valuable debate testing the validity, or otherwise of Disability Art, a Disability Arts Movement and of definitions of being a 'disabled artist'. Many of the contributions question the social model ethic of 'self-definition' and the validity of art that is informed by identity. The debate was prompted by Katherine Araniello questioning "a trend in disability culture of becoming a 'broad church' to include a wide range of illnesses, and character traits which have been problematised through both self-definition and current political thinking that we are all suffering from trauma and mental illness." I guess it depends on your perspective. From my own experience of mental health issues I have no doubt that mental health is 'disability' issue. The most disabling aspect being the lack of an arena to talk about the issues outside of a 'medicalised' approach. There has been the biggest backlash in the Press in recent years against disabled people, and in particular disabled people with mental health issues, for receiving disability benefits. According to the report published by Inclusion London a year ago, the press have been putting out the message that the majority of disabled people are only pretending to be disabled people. We are not who we say we are, but simply fraudsters. The mainstream view ignores the understanding of the disability movement of disability as oppression - as standing for the barriers that society places in front of people. So what has this all got to do with art? Many feel that the politics around identity get in the way of art; that identifying as a disabled artist takes away from the value of the work produced. I've been asked by several people who took part in the debate to post the comments from the DAO FaceBook group so you can read the arguments for yourself and continue the debate!